This beautiful arrangement is hand tied and then placed in a globe fish bowl. 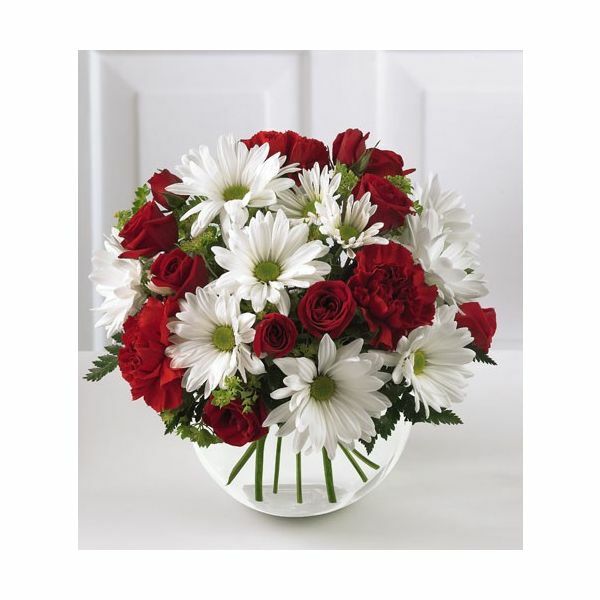 The perfect balance between red Carnations, red Roses and white Chrysanthemum makes this gift simple and sweet. Perfect for any loved one.